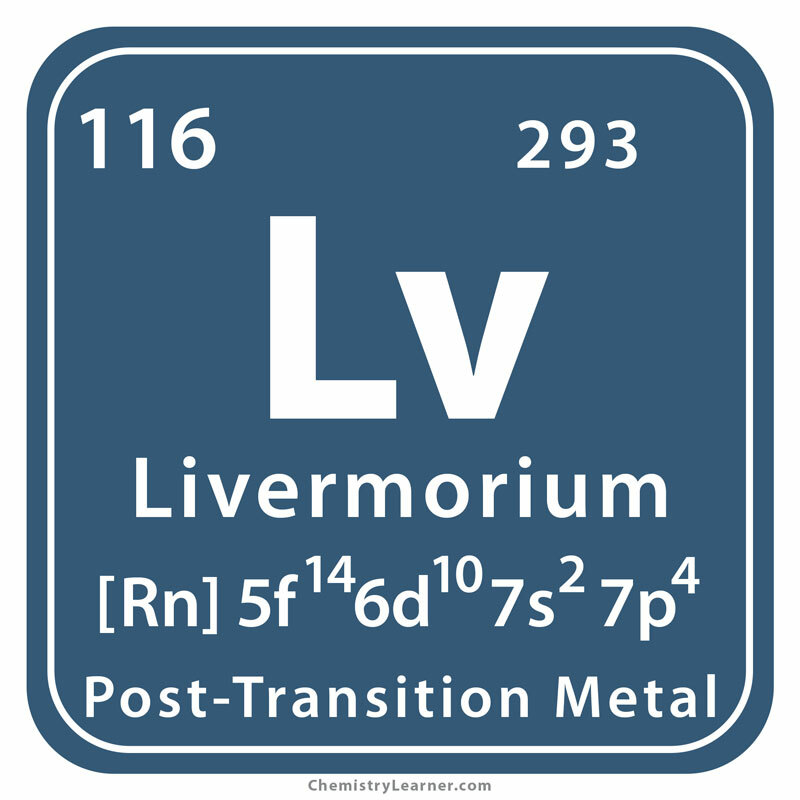 Livermorium (pronounced as liv-er-MORE-ee-em ) is a synthetic, radioactive metal  denoted by the chemical symbol Lv . Four isotopes of the element with their mass numbers between 290 and 293 have been produced so far. Of them, the most stable one is Lv 293 with a half-life of 61 milliseconds . It belongs to the family of post-transition elements . It is not found naturally on the earth. Small amounts of the metal have been produced in the lab . Origin of Its name: It is named after the Lawrence Livermore National Laboratory (LLNL) in California, USA . Who Discovered It: A team of scientists led by Yuri Oganessian, Vladimir Utyonkov and Kenton Moody at the Joint Institute of Nuclear Research (JINR) in Dubna, Russia . 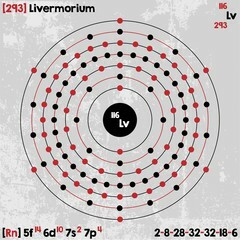 There were several attempts to make the element, all of which were unsuccessful until 2000 when researchers at JINR synthesized it for the first time. Since the discovery utilized target material supplied by LLNL, the element was named after the facility. It was (is) created in the laboratory by bombarding curium atoms with those of calcium . Since only a few atoms of the element have been made to date, its use is limited to laboratory research . The naturally radioactive property of the element makes it potentially harmful . 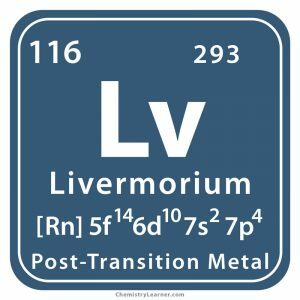 Both livermorium and flerovium were created by a collaboration between the JINR, Russia and LLNL, USA  and they were both given their official names by IUPAC in May 2012 [4, 5] when they were added to the periodic table . It was given the temporary name ununhexium (symbol Uuh ), denoting its atomic number 116, before getting its official name . 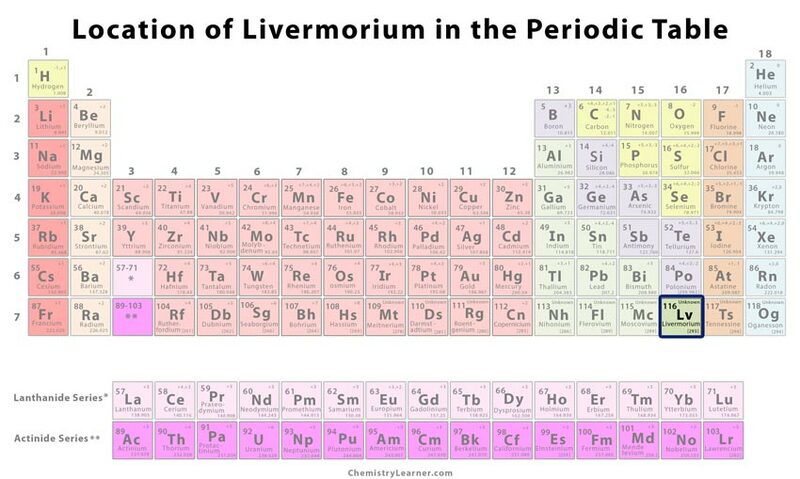 The city of Livermore celebrates The Livermorium Day on May 30 every year to honor the discovery of the element named after it . It is not available commercially and is only produced in laboratories in minuscule amounts [1, 3].